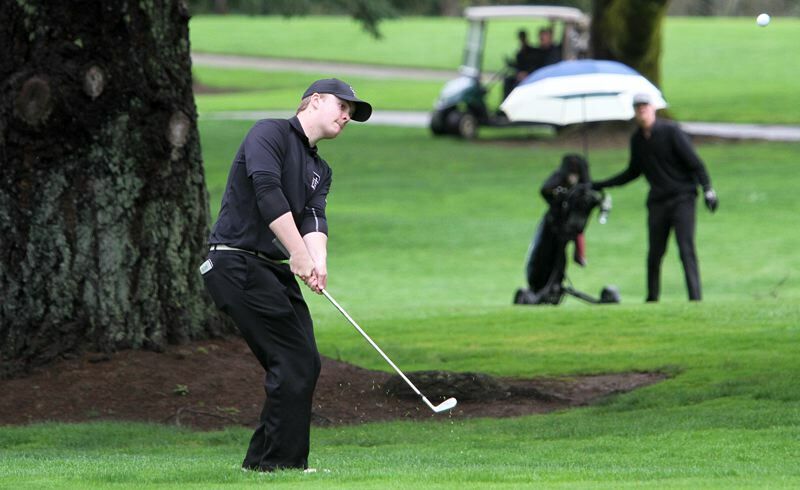 It was a good day for the Tigard High School boys golf team. It also was a good day for Tualatin junior Bryce Hatcher. 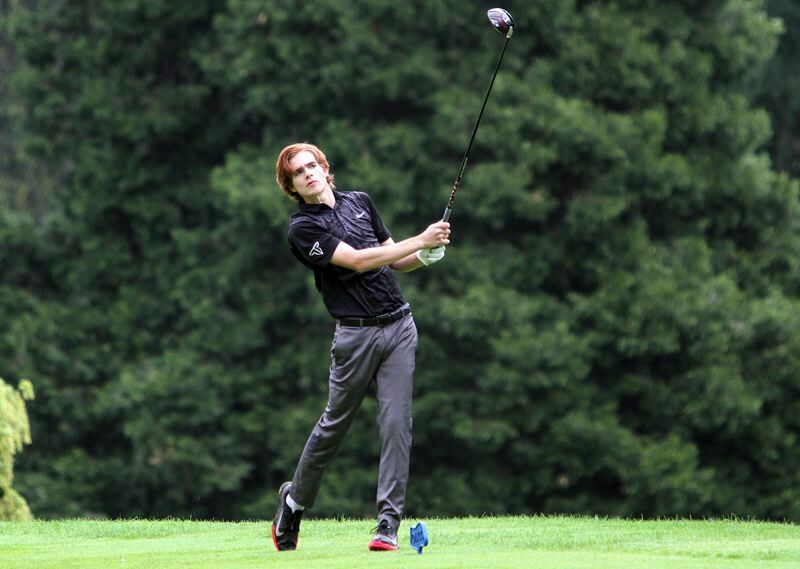 The Tigers took second place in the team standings, while Hatcher claimed medalist honors, at the Three Rivers League tournament held Monday at Oswego Lake Country Club. Hatcher took first place in the individual standings at the tourney with an even-par round of 71 strokes. That put him one shot ahead of second-place Aaron Buck of Lakeridge. Hatcher finished the tournament strong, shooting a one-under-par 34 on the back nine holes. He birdied the par-5 hole No. 10, and then parred the final eight holes. Tigard finished in second place in the team standings at the tournament with a score of 317. That put the Tigers four shots ahead of third-place West Linn and 16 shots ahead of first-place Lake Oswego. Senior Kai Alexander led the way for Tigard at the tournament with a round of 77. That put him in seventh place in the individual standings for the event. Also for the Tigers, freshman Connor Henderson and freshman Kevin Brown each shot a 77. Junior Graham Oelke had a round of 82 and senior Zane Friesen carded an 85. Tualatin finished in sixth place in the team standings at the tournament with a score of 329. Senior Bryce Hulse shot an 84 for the Timberwolves. Senior Ethan Wong had a round of 85. Senior Jared Ballard and freshman Tanner Van Meter each carded an 89. 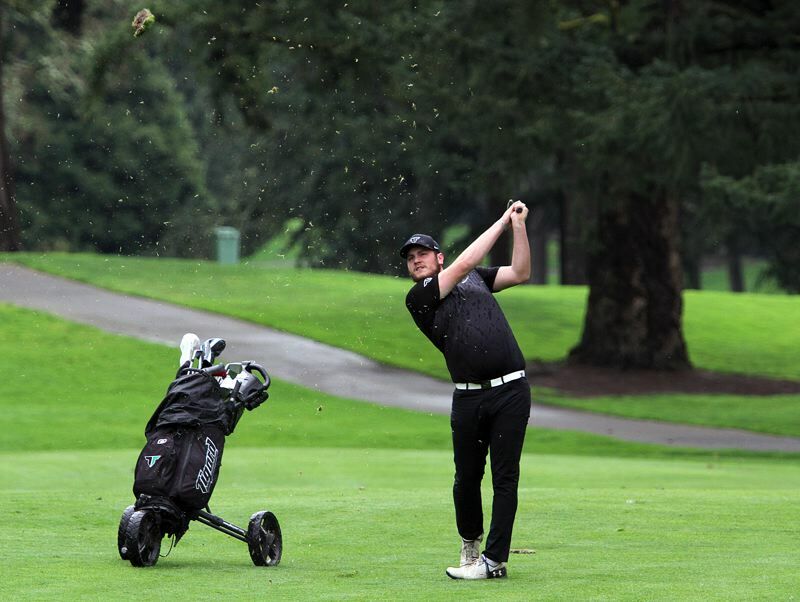 The next Three Rivers League tournament will be held Monday at Tualatin Country Club. The first tee times are set for 10 a.m.